The Penn High School tennis courts are sponsored by The Dar and Dot Wiekamp family. The tennis courts are outdoor public courts and are fully lighted. The tennis courts are north of the high school building, just north of the Educational Services Center off of Bittersweet Rd. 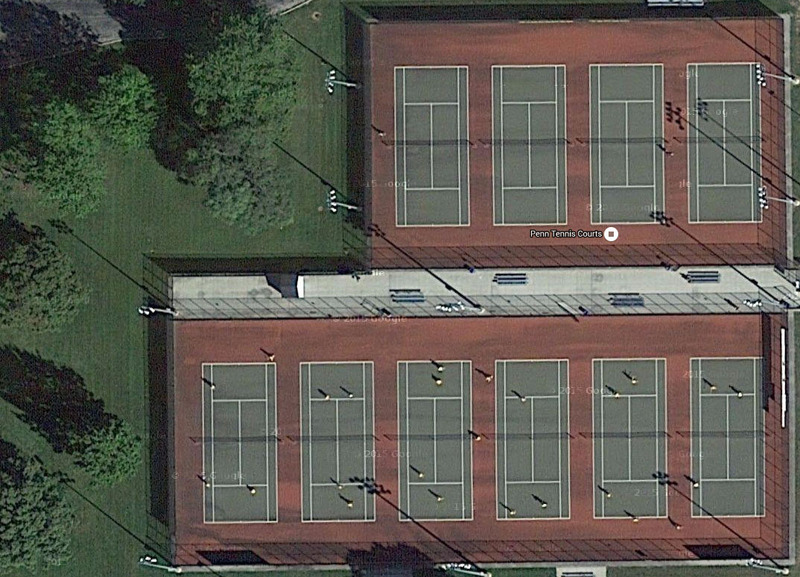 There are 10 hard-style tennis courts built in 2008 at the Penn High School tennis facility. The courts are green on the interior of the courts and red on the outside. The Dar and Dot Wiekamp tennis courts are free to the community for individual use, and also host Penn summer camps and are used for Penn High School and Schmucker Middle School Wellness classes. The Penn High School tennis facility is the host of multiple tennis tournaments during the boys and girls tennis season and also hosts Indiana High School Athletic Association sectional championship events. Fan seating, including bleacher seats, is available inside and outside of the complex.